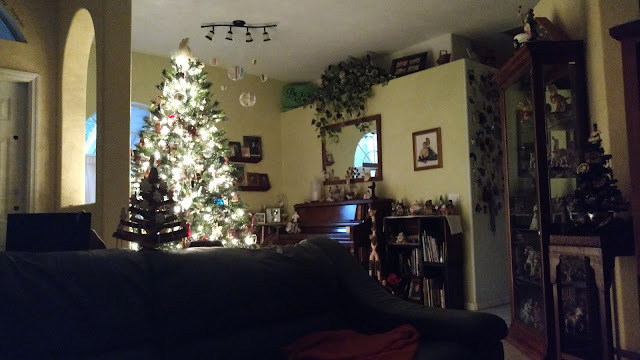 My mornings are still beginning by tree-light...the golden glow that reminds me of Christmas magic. I'm just not a January kind of girl - I'd rather linger in beautiful December. The majority of the world is starting fresh & clean with motivation I could only dream of, and my weary soul still seems to need the twinkling lights of promise and hope. It took me five days just to turn the page on my calendar, and my heart longer still... but I'm getting there. Pretty soon I'll be bringing in the boxes and packing away the Christmas treasures, but for now, we are moving ahead one day at a time, readjusting to this quiet life.